Timor-Leste (East Timor) still feels untamed with a wild natural beauty. In many places it seems untouched. Lying climatically in the dry tropics, vegetation varies widely from the damp lower lying southern plains to the moist and much cooler mountain country and then to the dry north coast. As a result of the differing micro-climates the vegetation changes quickly as you travel around Timor-Leste – dry open savannah vegetation to dense forest cover. Between the beaches and headlands, clumps of mangroves dot the coastlines, providing important fish breeding habitat. With many centuries of habitation and subsistence living, Timor-Leste’s larger native mammals and reptiles are reduced in number. That said, monkeys and spotted cuscus (a tree dwelling marsupial) live in the forests and there are rusa deer in the highlands. Reptiles include snakes, tokay lizards (one of the world’s largest) and many other smaller geckos and skinks. Sea turtles come ashore to lay their eggs and estuarine crocodiles live in coastal habitats and Lake Ira Laloro. Bats and shrews are also seen. Birdlife is more prolific and of vital interest to bird watchers. The strange mix of birds has Asian, Australian and Wallacean origins. 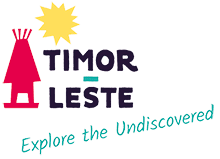 Timor-Leste has over 240 species currently recorded, including 23 that are endemic, and more are being added with further research. The richness of Timor-Leste’s birdlife, both resident and migrating, partly reflects the wide diversity of habitats, from mountain to coast and the country’s geographic location. Timor-Leste still has relatively abundant numbers of some globally threatened species, including the yellow-crested cockatoo, black cuckoo dove, Timor sparrow and several other pigeon species. TImor-Leste’s fringing reefs are pristine and have extraordinary diversity. They lie within The Coral Triangle, which is recognised as the global epi-centre of marine biodiversity with regard to coral and fish species. Atauro, a small island lying to the north of Dili, has recently been found to have the most bio-diverse waters in the world in terms of reef fish. Researchers in a recent survey discovered a total of 642 species around the island and saw a maximum of 314 at a single site. In Timor-Leste’s clear tropical waters, divers and snorkellers are treated to an overwhelming display of reef fish, hard and soft corals and other species from nudi-branchs to sea horses, turtles to manta-rays, and if you are lucky dugongs and even whale sharks. Schooling open water fish species such as tuna, bonito and mackerel are also encountered. From vividly coloured coral ‘bommies’ in sheltered waters, to spectacular drop offs, Timor-Leste’s marine life is some of, if not the best on the planet. Timor-Leste is also regarded as a global hotspot for whales and dolphins due to their abundance, diversity and sheer density of numbers. They can be spotted year round and especially during the migration season, October to December. At that time Timor-Leste’s deep waters become a major route between the Pacific and Indian Oceans for many different species. Whale species include blue, killer, humpback, short-finned pilot, beaked, melon-headed and pigmy killer amongst others. Oceanic dolphins regularly seen include common, bottle-nosed, spinners, spotted, risso’s, rough-toothed and striped. It is not uncommon during the migration to see whales and very large pods of dolphins both close in to the shore and from boats – an exhilarating, unforgettable experience.